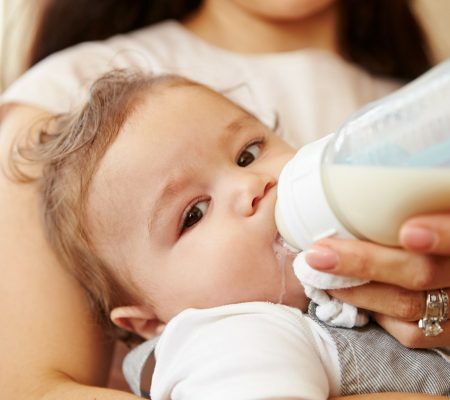 In the first year of life, the country’s largest pediatricians group, the American Academy of Pediatrics, says infants should only consume either breast milk or iron-fortified infant formula. Most formulas are made with cow’s milk that has been treated to resemble breast milk, making it easier for a baby to digest. But, go online, and you’ll find recipes for homemade baby formula, which may be appealing to new parents looking for healthier, more wholesome infant feeding options.